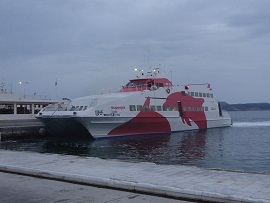 Milos has a daily connection to the mainland (Piraeus) during the summer season. 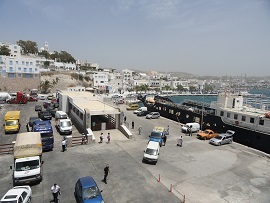 A direct connection takes about 5 hours, but if the ferry also calls on other islands (Kithnos, Serifos, Sifnos, Kimolos), it takes a bit longer than 7 hours. 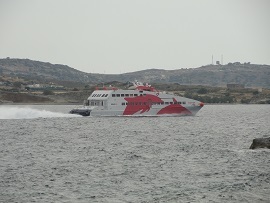 There are also special fast boats which take about 4 hours for the journey. 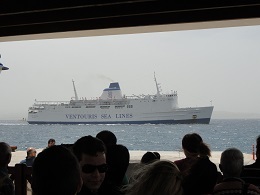 During the summer season, there is also a boat line between Ios and Milos, Sikinos, Folegandros and Crete and the more easterly Cyclades like Paros and Syros (NEL Lines). 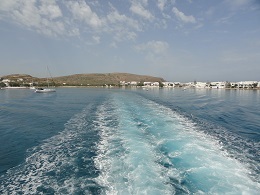 It is also possible to fly to Crete (instead of Athens), and from there take the boat to Milos. The boat trip to Crete last very long, almost 8 and half hours, and this boat is less frequent - to include Heraklion, the capital of Crete (if you want to know you can check the internet at Lane Lines, because sometimes there is suddenly a boat to Sitia or Agios Nikolaos in between). 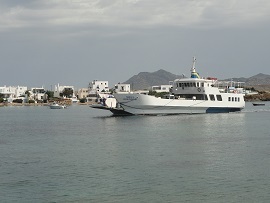 Lane Lines ferries even go to Rhodes, Kasos and Karpathos. 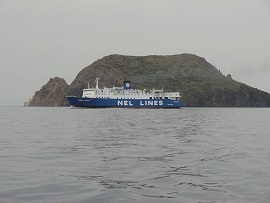 All this said, it is wise to check the initiaries of the ferries on the internet in advance because they often change, and also from year to year things and routes can change. 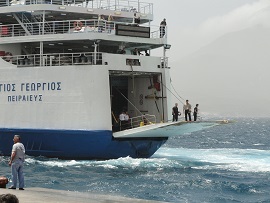 Also check the websites of "Aegean Speedlines" (route picture on the left). 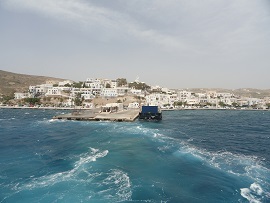 From 2011 there are also daily ferries going from Santorini (Thira) and Folegandros going to Milos. 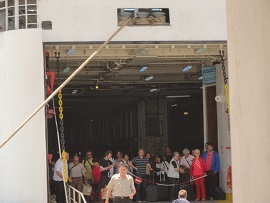 Six times a week a fast ferry and on a couple of other days a normal ferry. From Santorini the trip takes about two hours. For schedules and a possibility to book a ticket - click here.